In 2013 Spring Fling approached us about creating a collaborative mural project for SF 2014. We were delighted. Together we won funding from Creative Scotland. We developed a project that involved 5 local artists being paired with 5 Recoat artists. Recoat ran workshops with local community groups to collect themes around 'Home'. We held an artist day where all participants met up on a farm and were taught techniques by a local artist, Anne Peel and we discussed the themes for the project. 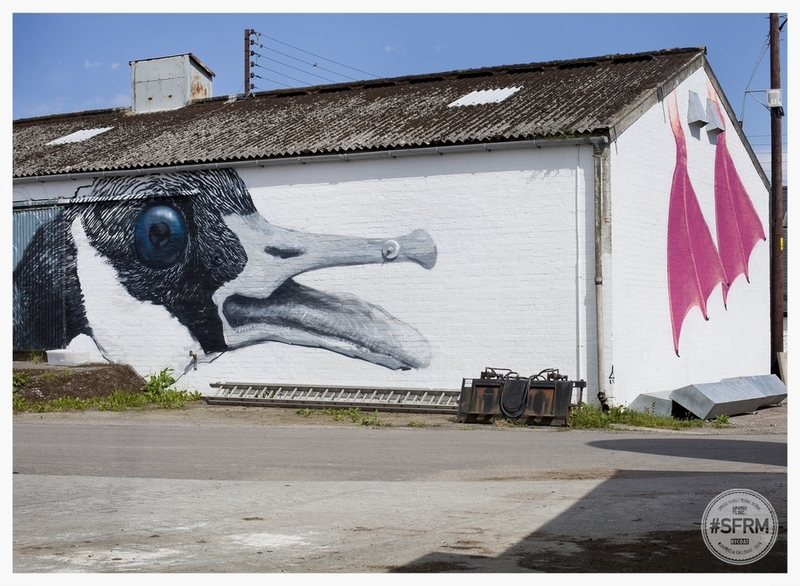 Each partnership of artists designed their murals together and painted them on sites that we sourced across the region. They painted out-buildings, barns and farm sheds. 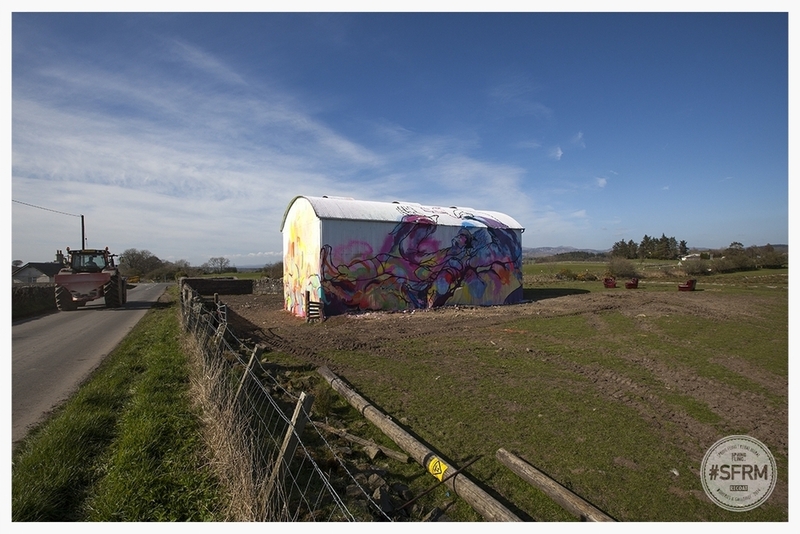 Further to this in the weeks leading up to the festival the artists painted more 'unusual objects' all over Dumfries and Galloway. We loved working on this project. It involved community engagement, artist collaboration, the creation of murals, painting all sorts of weird objects and we worked with lots of lovely people. This project lead to many of the artists involved learning new skills, enhancing their networks and gaining new opportunities to exhibit and create work beyond this project. You can see more photos from the project here.